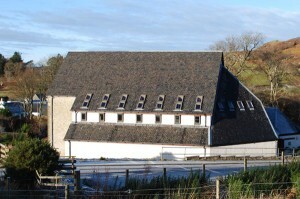 The hall has a wood lined main hall which is used throughout the year by the local community for events (weddings, ceilidhs, meetings, badminton, lunch club, yoga, PE, youth club). During the summer the fortnightly Producers Markets provide a chance to sample some of the excellent food available locally: cheeses, meats, preserves and home baking and buy a variety of crafts made on the island. The New Year’s Day Ceilidh is not to be missed! There is bunkroom accommodation which can sleep up to 10 people and guests are welcome to join in the ceilidhs.